The ultra-high strength and rigidity – along with up to 235,000 lbs. 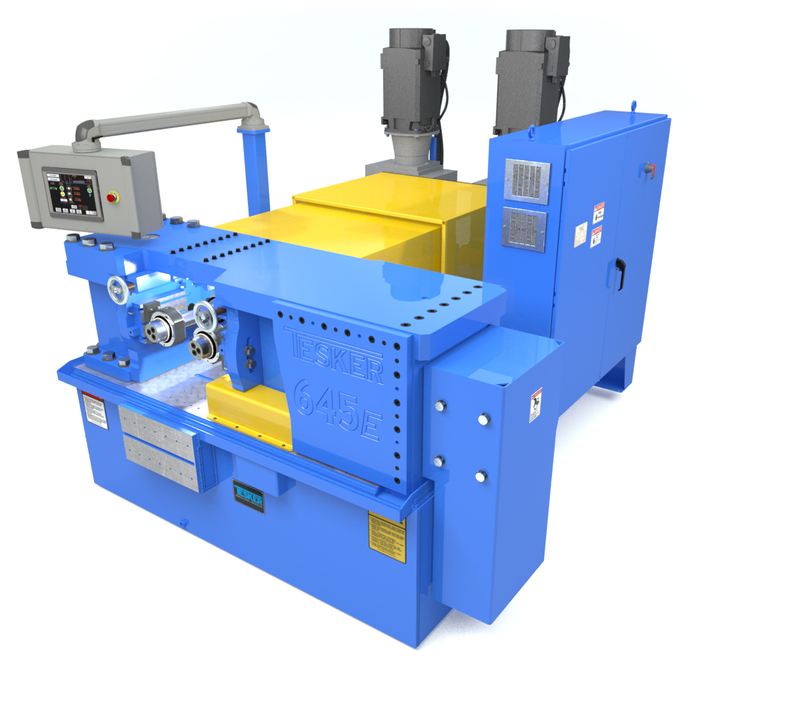 of rolling pressure – of the Tesker Model 645E 2-Die Thread Rolling Machine makes it a top performer for your tougher, heat-treated parts. Rolling Pressure Adjustable to 235,000 lbs. All models wired to NFPA 79 standards for operation on 480 volt, 3 phase, 60hz. Other voltages available at additional cost.